Electrical Systems Inc recently installed a emergency back up generator for the 55 and older housing at Felician Sisters facility. This was done to have emergency power during an outage in common areas for residents. Installed was a 100 kw generator 3 phase at 208 volts. 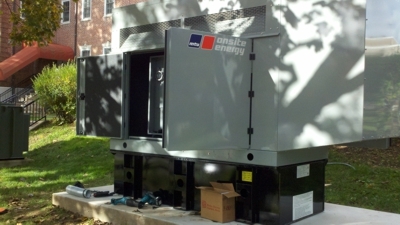 From large automatic standby generators to small home manual generators we can install them.